I need to express it somewhere. i need to talk. but dont feel like talking to anyone. so let me write it down here please? thanks. No mood. no mood. no mood. Today's Monday 20th Feb of 2017. currently in my celcom office. Spot:Meja hakim. hmm. He left. to chuping, perlis. So, this spot is mine. Fik used to sit next to me (i mean next to hakim's table haha) but he moved to menara celcom in KL too. So now, i'm all alone. How sad. kan? Hmm. So yea, i've been working in Celcom under SL1M program since last november. I was having so much fun here. seriously,no kidding. I have good friends around me, nice department to be with, kerja ada takda je, cuti banyak, non-stress environment, kakak-kakak office yang so sporting i tell ya. Until.....i'm the only one left here. Sorang sorang keluar. Mun, wana..lepas tu fatin, hakim, teha, fik... Macam sekaligus tu, one after another. Only then, I found out that I was'nt actually into this kind of job, it was just the environment that motivated me to wake up every morning and pergi office. Not anymore. Or maybe, I was harshly demotivated by the fact that this job is non-permanent and my beautiful-future is nowhere to be seen. I am currently in the agony (serious mental suffering) of not liking whatever I do in Celcom. The worst part is, even looking at jobstreet hurts. I don't wanna give up so easily, but looking at this phase, I feel like giving up. But, if giving up can actually sooth me down, I would have definitely done it. Thing is, giving up is not going to help at all. So, the only choice that I have right now is, to just ignore all these feelings, dan buat je kerja dekat Celcom tu, asal siap, boss tak marah. Oh crapp wait, I do have Allah. I do have faith. Ayuuuu! If you're wondering why am I here again, writing another post for kopiandpes haha well I have no idea why. Just another plain boring afternoon doing nothing at home, oh ya I am back in Pee Jayyyy y'all. Back for good weeeee. Well maybe that's one of the reasons to why I am here, having plenty of time for my personal blogging long-lost-routine. Lol make sense now haaa? hehe I've been in Malaysia for about one month and now waiting and scrolling down jobstreet and linkedin for any job opportunities. Penganggur jalanan hehe. My previous post was in 2013. and now it's almost the end of 2016. Like howwwwwwwwwww? We're growing up so fasttt. pheww slow downn hahaha. 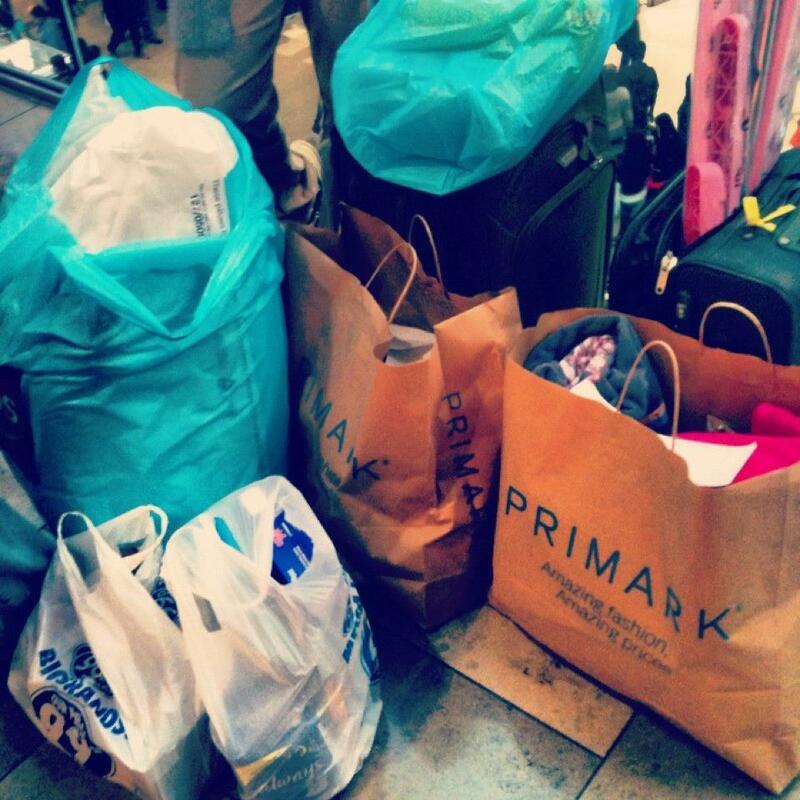 So, here are somewhat a quick update on my life after three years of not updating. eceh macam la ada yang nak tahu kan. heee. Weee Alhamdulillah. Graduated with a master's degree in Biomedical Engineering. Results pun cukup cukup makan hehe. not expecting it, but alhamdulillah. Praise be to Allah! Semoga digunakan ke jalan yang diredhai insyaAllah. *crickets sounds* Haha. I can only re-quote one of the tweets from Unwaniah "Dulu buka fb nak tengok birthday orang, now buka tengok invitation kenduri orang hmm" Hahaha. True enough. Masing masing dah nak beranak satu, saya masih menanti. Ada je kita grabbbb. Aummm. Haha k gurau je. Haha I have so many things in my head. but so lazy to spill them out. Maybe another post? maybe not. Hehe. Two days to 2014. May Allah grant me the best of guidance this upcoming year. Too many memories in 2013. And the best out of it is when beloved Sumaiyah left us for Jannah. The biggest wake up call.
" Our train is heading towards death, and we are worried about life" Mufti Ismail Menk. This feeling is very pure. I cant even describe it in words. Alhamdulillah. Alhamdulillah. Alhamdulillah. Encountering this is very tough in the first place. Failure to istiqamah, having doubt to move on, scared of making changes, showing qudwah, sacrifice, etc etc. Forging yourself into better is hard I must say. Jatuh bangun jatuh bangun. But, how can you compare this pain when in the end there is nothing else you want except for pleasing Allah. I believe Sumaiyah is waiting for me in Jannah. and I cant let myself down cause I wanna be part of Jannah one day :) Trust me, we cant always get what we want, but we can always try to accept things that we dont even ask for. After all, Allah is always the best Planner. Assalamualaikum. Heheh. Hi people. Doing good? Yayy. Me too :) Alhamdulillah nak habis dah first year final examinations. Satu paper lagi. Fuhh. A bit takut for the upcoming results. I know i didnt do well,banyak sangat main first year ni. Mungkin sebab tak biasa with the environment and stuff, cewahh poyo. But ya, as I mentioned before, being Asian in my university is very tough I must say. Dengan discrimination lagi, different accent and etc etc. Takpe, I believe Allah tahu that I can go through all that. Seeeeeee, dah habis dah setahunnn. Sekejaaaaaaap je kan? 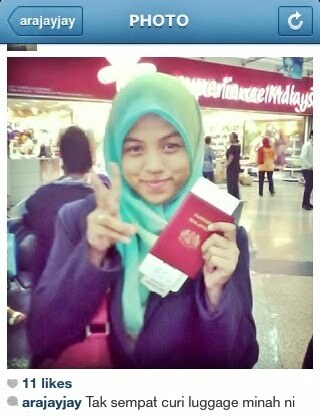 Malaysiaaaaaaaaaa,im coming homeeee sooonnn. Hihi. Berapa post dah bagitahu nak balik nak balik. Tapi tak sampai sampai lagi malaysia nya. Adoiyaii lambatnyaaaa juneeeeeeeeeee. Hahaha. Oh anyway alhamdulillah juga kerana saya baru sahaja melangkau umur 21. Heee. Dah anak dara dah saya rupanya. Mwihihi. Thank you for all the birthday wishes,doa doa kalian and hadiah walaupun tak banyak :) Paling best wish pakai lagu gwiyomi from najihah gedik and wana,dengan hadiah dress from my housemates. Haha. InsyaAllah, semoga Allah berkati hidup saya selama 20 tahun yang lepas. Jazakallahhu khair to all my family members and all my lovely friends. Tanpa anda,siapalah saya :') Teheeee. Alright,bye! Come to think of it, I'm a person who changes to be loved by everyone. In other words, rasa macam living to please others. Penat sebenarnya. To one reason,sebab tu saya paling tak suka duduk depan and mengarah. I was never a prefect back in my school years. not even a leader in any society atau mana-mana group discussion. The fact that I am really insane upon situations where my heart easily gets too emotional bila ditegur, diberi pendapat yang berbeza apatah lagi dibangkang mahupun dimarahi. Macam sekarang kan ramai je lelaki kutuk perempuan tengok bola kan,I terasa sangat okayyyy. Tapi itula, memang betul pun. Tengok perempuan yang tweet bola kalah lelaki, memang macam..... Tapi sebab saya memang suka tengok bola,so saya tengok lah sorang-sorang je,taknak tweet apa-apa pasal bola :( That typical quote yang selalu jadi common nasihat "Jangan fikir apa orang cakap,buat je" tak pernah ,menjadi dekat diri sendiri. I can always hear voices that stir through my ears "okay,jangan buat cani,nanti orang cakap kau gedik" "okay,kau nampak gemuk pakai baju ni Ayu" "Ayu,cantiknya perempuan tu. kenapa kau hitam sangat" etc etc etc. I feel so pathetic. Sob sob. Mama once told me, ayu ni kuat sangat nangis kecik-kecik dulu. Tak sangka sampai besar pun macam ni. I can't deny the fact that air mata ni sangat cepat mengalir. Sigh. Maybe,one of the biggest mistake is to put myself into fairy-tales stories yang semua nampak cantik,semua nampak sweet and semua very queen-like that end up giving me a sense of skepticism. Paling skeptik sekali,perempuan kalau putih mesti cantik. Sebab tu Allah bagi aku hitam kot,kalau tak mesti aku perasan cantik :(. Kakak usrah saya pernah pesan,jangan hidup untuk orang lain,duniawi semua tu. I hope I can one day understand what she said. Guide me Ya Allah,aminn. Assignments and coursework,lab reports and homework. Urghhhh... When I got myself into this mood, I really need to distract myself with...something I could do to forget everything.For example;shopping ke-skyping ke-movie etc.etc. ( despite knowing that actually the only way is to go back to Allah,teruknya ayu ni,Alquran kan ada ) The reason is that,I am very scared of "giving up". I can define giving up to so many definitions. Contohnya, secebis perasaan kesal dalam hati. hmm. And you know what, I can sense something not so good,but lets just pray to Allah,imma survive everything. There are so many reasons to why I really wanna be here at the first place. The first thing that came across my mind when mentioning about studying overseas is 'ayah'. Ayah la everything for me. Setiap kali dapat markah teruk, or even bila I actually got any good news in my studies, semuanya untuk Ayah. I dont know if I can share you guys with this one story of mine. Just so you know, my dream university was Uni of Manchester. and I was one step away to actually becoming one of the student there. Got the conditional offer and I was so happy until I did imagined myself being in Manchester. Selalu google gambar library dia, lecture hall dia. Haha. and ayah wasnt on the same line as me. He really wished that I could go to queen mary or imperial college. and guess what, I betrayed him. lol. I foresee myself that I can survive in Manchester, doing the course that I dont have any interest in it (sebab dekat manchester takde biomedical engineering,so sebab sanggup nak masuk sana, pilih jugak course lain). and there you go, after my ib results came out, Manchester rejected my offer for not meeting their requirements and akhirnya doa ayah jadi kenyataan. And today,here I am,studying in Queen Mary,University of London in Biomedical Engineering. Haihh. Tengok. I told you. Ayah is my everything. Hmm. Ya, one more thing, dulu saya selalu sedih because ayah always compared me to abang. Abang is a good son. responsible and kind of a lovely brother I can say. haha. senang je nak mintak pape dekat dia,dia mesti belanja. hahahaha. and among my siblings, memang saya admit saya nakal sikit. Paling selalu habiskan duit mama and ayah,paling selalu keluar lepak dengan kawan, paling selalu merayau sana-sini,paling selalu melawan. Entah la, bila dah jauh dari mama and ayah ni, I realised something. Selalu bila jalan sorang sorang pergi uni,teringat kena marah dengan ayah and mama dulu-dulu. 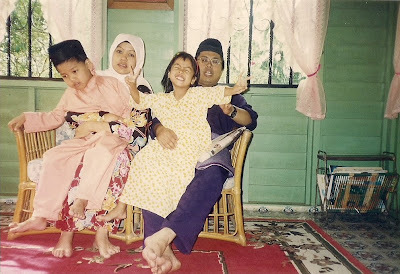 lepas tu berazam nak buat mama and ayah proud of me,walaupun saya paling nakal dalam family. Bukan sahaja dunia, tapi sampai syurga nanti. But to change for the better is not easy. if we are in the process of changing,sometimes the process can be very slow. sometimes it feels like ages to change. Sometimes,at a certain point we would have the feeling of unsure,incapable, exhausted and end up putting a fullstop. To change physically and mentally as well. Sebab tu I would want to go far away from the people I know. Susah sangat,serious. And when you have someone you love the most and that one person can sometimes be reason you wanna change and the reason you turn back and put down the effort for a while,trust me it wasnt easy at all. I know, to change is not a handful lot of big changes that we need, but it is just enough of a tip of effort that will never stop. no matter what. Quoted from someone. Betul apa dia cakap, untuk berubah bukan dengan satu perubahan yang besar, tapi I really hope I can change slowly..and consistently. InsyaAllah. Sorry that I've changed my link permanently. Decided to take a step away. from...I dont know. Hahaha. Few weeks back,I keep updating post that sounded so sedih dan pilu. until I came to a point of thinking that I will probably annoy too many people. Haha. It's okay. Lets make it into the second version of kopiandpes.blogspot.com. I dont mind blogging and no one's reading it. It's not like Im the famous maria elena,post sikit je berpuluh ratus dan ribu like. including me. hehe. But to a certain extent, I have some kind of respect towards these kind of people. plus some sense of jealousy. Maria elena, dena bahrin etc etc. One thing for sure, mereka sangat cantik. and saya 100%ly believe that is the main reason why mereka sangat mendapat influence in the society. Walaubagaimanapun, the fact that they can talk and command motivational words until it affects the readers deeply, that is so amazing. Bravo! And Alhamdulillah. Today, I am so happy. I succeeded to complete my nazar,yahoooooo :D Nak tahu tak apa? jeng jeng jeng. Pakai tudung labuh keluar rumah. Haha. That was my first attempt. Was'nt that bad after all. 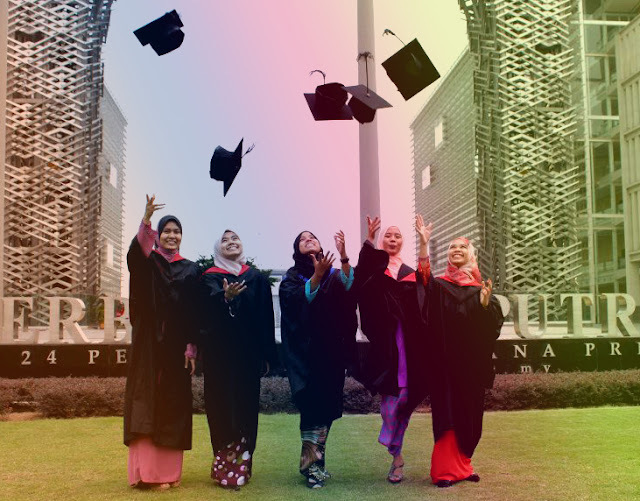 InsyaAllah, will try to keep that on my head one sweet day :) Lets do this slow and steady. when you go against the mood, you go for something you love the most. How else can I show how much I love you? When all you can do is, read. Apparently, I have to admit this. I miss kmb. Allah itu maha adil. Saya ada banyak cerita nak bagitahu. If only I could talk to you guys right now. and how I wish I have someone here that I could let everything out. Have you ever imagined yourself going to the university alone,waiting for the bus every morning alone, sitting in the lecture hall alone,spending your free time and lunch break alone,going to the library alone while those sitting next to you are busy updating stories on their boyfriends, their late night parties, or maybe discussing the subjects they hate the most. and all you can do is diam membisu. Sebab tak faham bahasa diorang. Flipping back down the memories, I can die from crying. Thinking twice, nampak macam tak bersyukur pulak. So I decided to distance myself from this abyss of despair. I keep telling myself "it's okay,imma survive this for another four years. Allah ada bersama-sama orang yang bersabar dan kuat. Hold on to it Ayu"
"Oh you who have believed, seek help through patience and prayer. Indeed, Allah is with the patient." and last but not least, the world clock of mine. Ingat nanti nak beli tiga jam letak dekat dinding besar besar. haha. So that I'm alert of what all my love ones are doing at that moment. Okay itu sahaja for now. Bye bye assalamualaikum. okay lol,i know. the tajuk is a lil bit jiwang. Yes,i might have this jiwang mode on. dont know how to start telling you guys this story. anyway, my tears are falling and flowing fast. Gembira,sedih,terharu semua ada. hmm. satu baris ayat tu sekadar dilakar di blog jiwang merata-rata, dan seringkali disebut kala cerita-cerita putus cinta. Bila berlaku depan mata,bila berlaku pada seorang yang pernah sebumbung dengan aku,terkejut aku malam ni. haha. aku tak sangka cerita-cerita drama melayu yang klishe selama ni sebenarnya bukan sekadar idea yang terlintas di fikiran penulis novel je,bukan sekadar ilham yang diberikan untuk pengarah movie drama je. Aku taktahu lah nak start cerita macam mana sebenarnya. haha. Recognizing the signs of true love is an award. Seronok bila dengar kawan yang pernah jadi teman sebilik, tahu cerita suka sedih sama-sama, tempat aku nangis gelak nasihat sama-sama. dan tak lama lagi,akan jadi empunya pada seseorang. Terkejut jugak bila nampak gambar sebentuk cincin di dalam bekas merah diupload dekat facebook dia tanpa sebarang caption. apa lagi, time tu jugak aku tegur dekat chatbox. menggigil jugak tunggu cerita dia. Haha. Dan alhamdulillah. seperti yang aku jangka. dan aku taktahu apesal touching sangat sampai menitis air mata sampai la sekarang ni ha. hahaha. Dua orang yang datang dari dua background yang berbeza. berkenalan bukan atas keinginan tapi atas ketentuan. mula mengenali dengan suasana yang agak suam. Haha. Ingat lagi masa mula mula dia cerita dekat aku time diorang mula mula kenal. boleh berperang jugak lah. haha. dan akhirnya nak dipendekkan cerita, timbul lah perasaan yang semua manusia ada. aku nampak perubahan lelaki tu. ketara. alhamdulillah. ke arah yang lebih baik. taktahu la, kot tu cara Allah bagi hidayah dekat dia. dan akhirnya, tup tup atas keberanian, akhirnya confession berlaku. Tapi tulah,orang kata jodoh kan. Allah yang tetapkan. Cincin yang didalam gambar tu daripada lelaki lain. Dari apa yang aku nampak, mungkin Allah pinjamkan sekejap kawan aku ni untuk si lelaki berubah ke arah yang lebih baik. Jodoh semua bukan dekat tangan kita pun. rancang lah macam mana pun, kalau takda,takda jugak. Kami doakan kau jumpa orang yang terbaik untuk kau satu hari nanti okay. insyaAllah. Semoga kau kekal dekat jalan yang kau pilih sekarang. Aminn. "You know that is one sign of true love when you cherish them like gold and they should never ever grow cold even when they are 1000 years old "
Nak tahu tak,kecik-kecik dulu saya minat sangat dekat achik spin. dulu beli magazine yang ada gambar dia pastu potong pastu buat album. lol. Lagu bawah ni hafal habis. hee. Al-Fatihah.